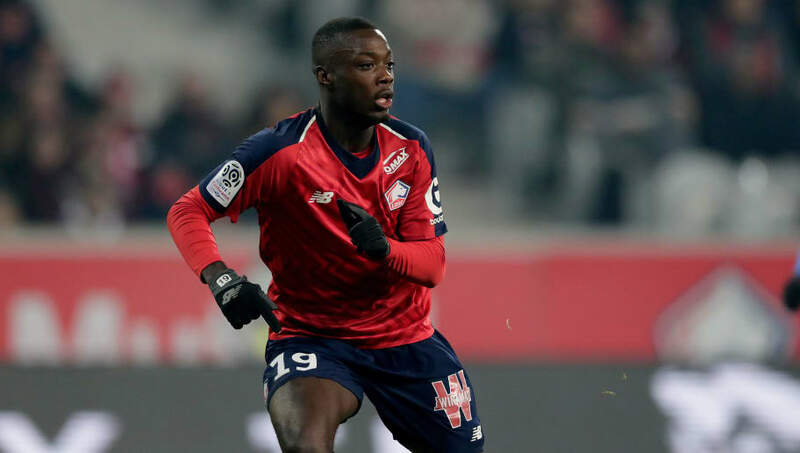 ​Bayern Munich are reportedly preparing a move for Arsenal target Nicolas Pepe after ‘seriously’ ramping up their interest in the Lille forward. The Bundesliga giants failed to complete a protracted move for Chelsea’s Callum Hudson-Odoi in January, while Arsenal were unable to recruit their own targets in the wide areas last month as widely reported moves for Yannick Carrasco and Inter’s Ivan Perisic fell through. Ivorian winger Pepe has scored 16 goals in 23 Ligue 1 appearances for Lille this term and his form has apparently attracted interest from around Europe. According to French outlet Le 10 Sport, Bayern are leading both Arsenal and Manchester City to the race to sign the attacker. Arsenal’s departing head of recruitment Sven Mislintat is said to have been a keen admirer of the 23-year-old, having tracked Pepe’s progress over numerous months. However, the German’s impending exit and a lack of transfer funds at the Emirates saw a move fail to materialise. Meanwhile, Bayern are apparently now in the process of making a move to beat competition to the signing of Pepe. The Ivory Coast international is behind only ​Barcelona’s ​Lionel Messi, ​Juventus superstar ​Cristiano Ronaldo and fellow Ligue 1 forward ​Kylian Mbappe in the European scoring charts this season. Lille boss Christophe Galtier has said of Pepe, via ​Metro: “In terms of Ligue 1, he’s just behind Neymar and Mbappe. The French side are said to be anticipating a summer bidding war for their star forward, who is valued at £72m. ​Arsenal’s well-documented financial constraints may see the Gunners miss out on any potential deal for Pepe, with the Gunners likely to reassess their options following Mislintat’s departure.